Delia's idea was to feature a 'no makeup' makeup look as a future blog post! We will use that idea for our blog post set to go out Feb. 15. Great idea, Delia and congratulations! 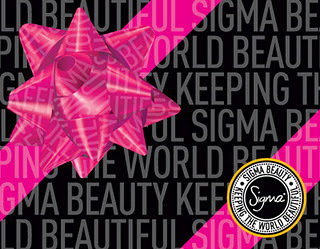 We will send out your Sigma Beauty Synthetic Precision Kit within the week! Thanks to all those that entered! More giveaways each month so visit again soon!